You can leave them to water, but you can’t make them drink…..
u made a big impack on everybody!! Your the apitimy of a good Momma. The photographer who caught Romney’s exit smirk. The Democratic National Convention begins in 4 days. This man, Steve Monistere, IS EVIL. I was wrong to call someone EVIL. Thank You, Steve for defending yourself without calling ME names. 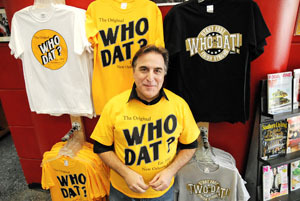 I stand by my position that WHO DAT belongs to the people and not to WDI. Everyone else can make up their own mind.